the winners of the 2013 Curran Fellowship here. The winner of the Gale Dissertation Research Fellowship here. The shortlist for the 2013 Robert & Vineta Colby Scholarly Book Prize here. The VanArsdel Prize is awarded annually to the best graduate student essay investigating Victorian periodicals and newspapers. 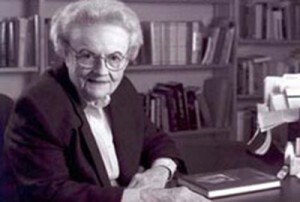 The prize was established in 1990 to honor Rosemary VanArsdel (at left), a founding member of RSVP whose groundbreaking research continues to shape the field of nineteenth-century periodical studies. The deadline for next year’s award competition is May 1, 2014. For further information, please see our page under the Awards heading. A new edition of the Curran Index by Gary Simons and the late Eileen Curran has been published. See our Curran Index page under the Research menu item for details. For subsequent editions, scholars are encouraged to contribute their own discoveries about the authorship of stories, poems, and articles in the Victorian press; contact Dr. Simons for details. RSVP is pleased to announce the competition for the sixth annual Curran Fellowship, a set of travel and research grants intended to aid scholars studying 19th-century British magazines and newspapers in making use of primary print and archival sources. The Curran Fellowship is made possible through the generosity of the late Eileen Curran, Professor Emerita of English, Colby College, and inspired by her pioneering research on Victorian periodicals. The deadline for applications is October 21. The full call for applications can be found here, with further guidelines here.